More information appeared about the Xbox 3, the next generation gaming console from Microsoft, this time IGN said that the next Xbox will be six times faster than the current Xbox 360 reporting the GPU used inside. The source said the the Xbox 3 or Xbox 720 (no official name until now) will feature a graphic core with the power as the AMD Radeon HD 6600 series graphics GPU and precise with the Radeon HD 6670, so that's quite strange to compare an 40nm GPU on the HD 6670 with the next process technology of the next Xbox which will be using a 32nm Silicon-on-Insulator manufacturing process. Another good and bad news: The folk over IGN report also the supporting of DirectX 11 and a full support of a 1080p resolution gaming, the release date of the console will be on October or November 2013, to make it clear bellow list of specifications rumoured about the next Xbox . Now we got some good and bad news, the good one is that the next Xbox console will support blue ray discs allowing developers to pass the limitation problems faced on many Xbox 360 titles like Skyrim, which support a 9GB double layer DVD, the next generation Microsoft's Xbox will support up to 50GB double-layer Blu-ray disc. Now the bad news is that Microsoft designed the next Xbox to restrict the play of used video games discs, so with this everyone has his own copies to play, no borrow and no selling of used old games, this is what Microsoft want, its all about the money. - Console code name: Xbox 3, Xbox or Xbox Next Loop. 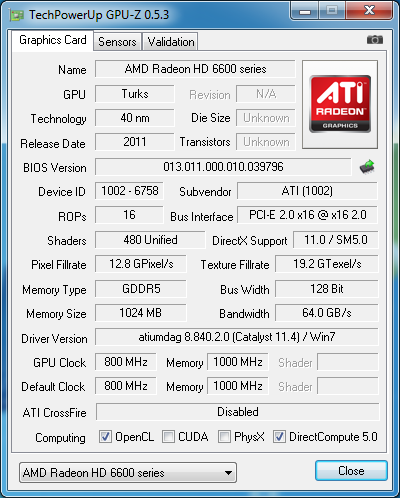 - The graphics chip inside : close to the Radeon HD 6670 (DirectX 11, 1080p native multi-screen support and 3D support). - Accessories: pad and Kinect 2 (improving the current version with advanced voice recognition, lip reading and sensing emotions). - Features: Blu-ray player up to 50GB, internet connection with the possibility of playing games in cloud gaming using the streaming, Xbox Live with new interface. - Operating system: simplified version of Windows 8. - First presentation to the press: E3 2012, on June. - Games: some developments have already begun for several months on prototype versions. Development kits would be distributed in final version in August 2012. - The release date: end of 2013. - The price: Still unknown but we guess it will be about 550-650$ first launch.